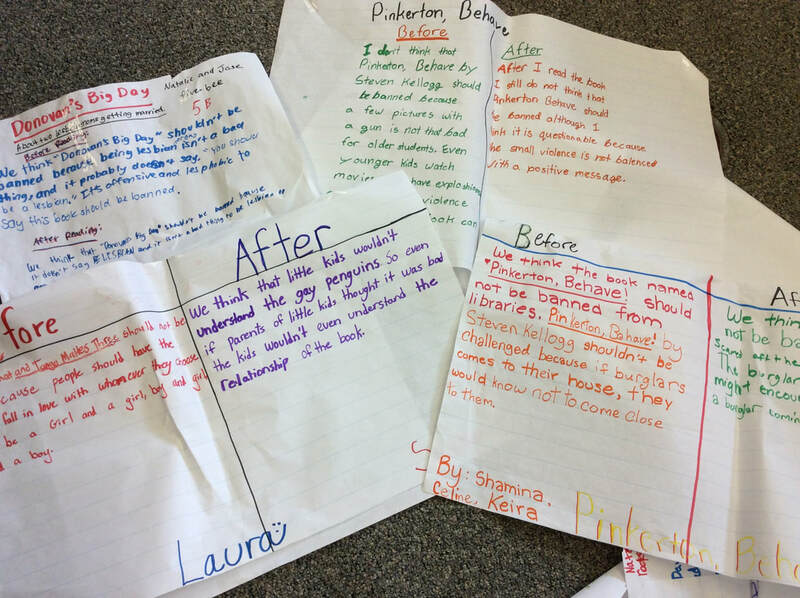 Students at Hardy Elementary School in Wellesley share their before and after impressions as they evaluate whether challenged books should remain in the collection. Library teacher Lisa Rogers engages her students in a thought-provoking discussion and activity around challenged and banned books. Learn how she has students think critically about whether books belong in the collection or not by clicking here. was created by the Massachusetts Legislature in July 2014 to look at equity of access to school library programs in our public schools.